Anson, John W. (1817-1881): Began his professional acting career in 1843. He managed a company in Scotland. In 1853, he moved to London appearing at the Astley’s Amphitheatre as Sir John Falstaff. 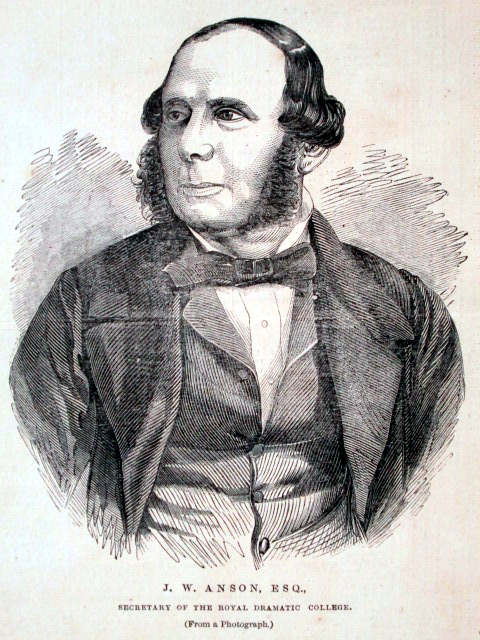 Becoming treasurer at the Adelphi (1859-1874), he virtually gave up performing.